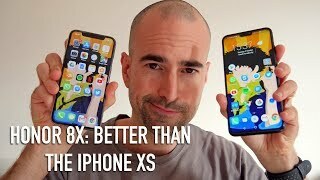 Phones with near bezel-less display and notches are getting quite popular nowadays so it was only a matter of time for budget phones to follow this trend. 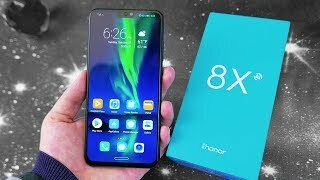 Honor is here with the new Honor 8X that comes with an attractive, bezel-less design at an affordable price tag. 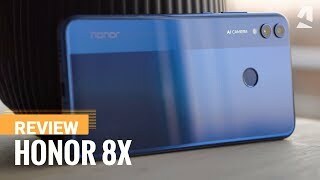 To find out the exact Honor 8X Cairo price and what to expect inside, continue reading. Although big and near bezel-less displays are quite common these days, it’s still nice to find such displays in an affordable phone. The Honor 8X comes with a vivid and bright 6.5-inch screen showing 2340 x 1080 pixels resolution 19.5:9 aspect ratio and 396ppi of pixel density. It’s quite pleasing to look at and is definitely one of the best features of this phone. Unlike most of the phones, the chin at the bottom is quite small and the notch is not too big as well like the one we have seen in the Google Pixel 3 XL. The glossy back and 84.4% screen-to-body ratio makes the phone look premium-ish. This phone is available in four different colors: pink, black, red and blue. It’s a budget phone we are talking about and the camera department took a hit because of it. On paper, users get a pair of cameras on the back: a 20-megapixel sensor with f/1.8 aperture and a 2-megapixel sensor that works as a depth sensor. It will get the job done when you are taking pictures in a well-lit condition but don’t expect much when taking pictures in places with poor lighting condition. As for the front camera, it’s a good 16-megapixel one with f/2.0 aperture which offers decent selfies once you turn off the beauty mode. There is the Xiaomi Mi A2 and Nokia 7.1 Plus if you want a good camera phone without spending too much money. These are almost in the same price range as the Honor 8X Cairo price. What the Honor 8X fails to deliver in the camera department, it delivers in the performance section. This phone is running a Hisilicon Kirin 710 octa-core processor and users can expect quite snappy performance from this budget phone. However, if you are into gaming and would like to play heavy games in this phone, this phone may not be for you. One of the other noteworthy features of this phone is its battery which is a 3750mAh Li-Po that can offer almost two days battery life after normal usage. Some of the other notable features include: Android 8.1 Oreo OS, 4GB/6GB of RAM, 64GB/128GB built-in storage, microSD card slot, 3.5mm headphone jack, Bluetooth 4.2, GPS, microUSB 2.0 port and fingerprint sensor on the back. 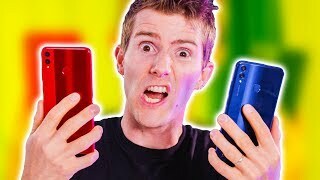 For those of you who are looking for a cheap phone offering great performance, there is the Xiaomi Pocophone F1 and OnePlus 6 you can check out. The Honor 8X is available for about EGP 5000 at the moment. 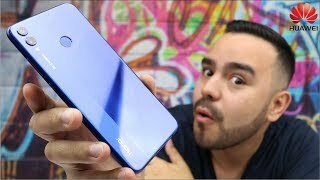 HUAWEI HONOR 8X ANÁLISE [ Review ] COMPLETA - UM INTERMEDIÁRIO PRÊMIO DE RESPEITO ! 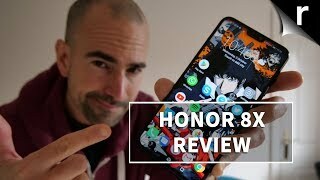 Honor 8X long-term Review - Cheaper Huawei Mate 20 Lite! 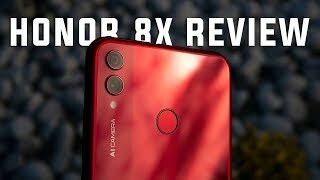 Honor 8X Review | Best budget phone of 2018? Price has decreased 7% from EGP 4888 on 2019-03-05 to EGP 4555 today.